Picture of a Military Train, Redmire, Wensleydale Railway. 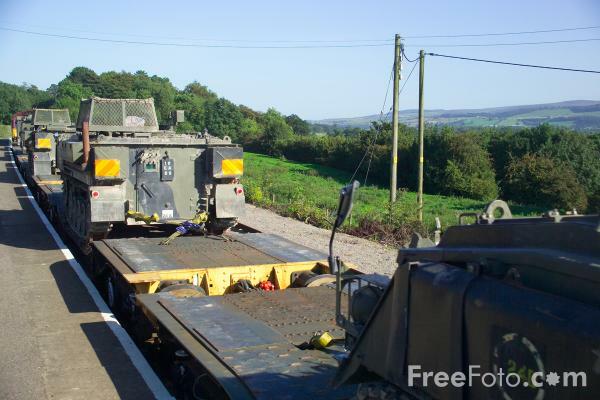 The Wensleydale Railway is used occasionally by EWS and the Army for military trains taking armoured vehicles to and from Catterick Garrison via Redmire. Typically 12 return trips operate every year. The military trains run along the branch before and after normal services. VIEW: More images from the category Wensleydale Railway or around the same time .